Most of the time, when you hear about GCHQ, Britain's answer to the NSA, it's in the same sentence about mass surveillance or cellphone hacking. But this time around, the Brit spies have made an app that teaches little kiddies how totally fantastic encryption is. 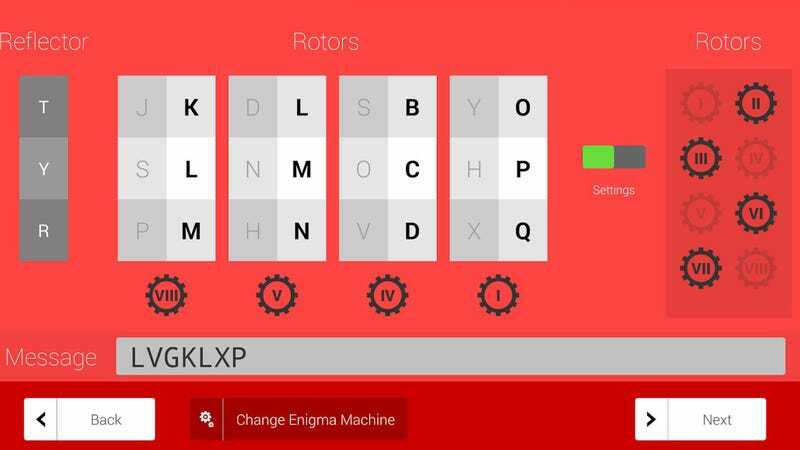 The "fun and educational" Android app teaches you about basic encryption techniques, and then lets you share them with your friends, who get to try and decode whatever you've hidden. Fun! But, also, painfully ironic. GCHQ has been at the heart of revelations of internet spying from the Snowden leaks, including reports that it hacked telecoms companies specifically to get access to citizens' encrypted communications. The app is an attempt to cultivate the next generation of British cyber-spy by fostering an early interest in code-breaking, which seems laudable. Just don't try and use that encryption to actually, y'know, secure anything. Because then it's a dangerous tool of anti-government subversion.